Time to Roam magazine is dedicated to great caravanning stories. 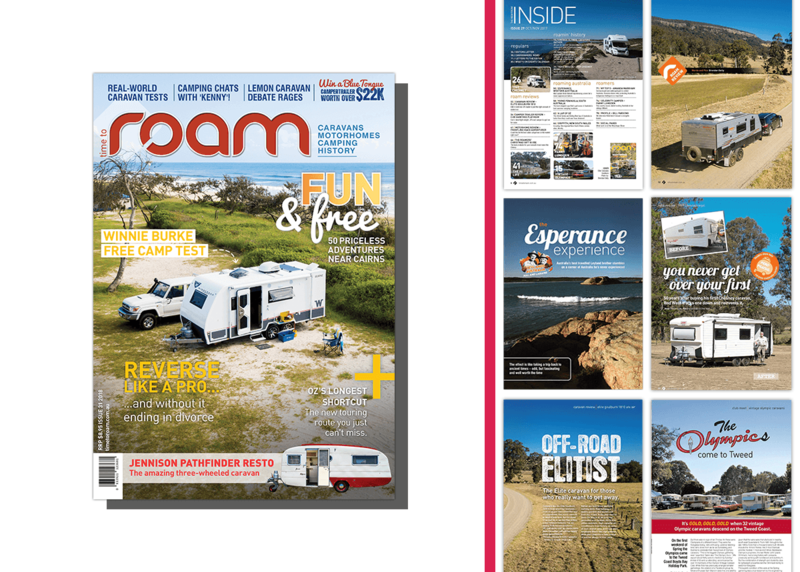 We speak to editor Brendan Batty to tap into the latest travel caravan, camper trailer and motorhome inspiration and more! Can you describe Time to Roam magazine? Who is it for and what does it cover? Pretty much it’s a caravan magazine by caravanners about caravanning, for caravanners. We’re really fascinated by the vintage caravan scene and history, plus spend a lot of time looking at the newest caravans and motorhomes on market to see if they’re any good. We also travel all over the country, to find the best places to camp, or the best things to do in regional Australia. What’s the best part of being the editor of Time to Roam magazine? I love caravanning, camping and Australian travel, so that’s easily my favourite part of the job. I’m a hands-on sort-of-guy, especially when it comes to packing up a 4WD and heading into the bush. What is your favourite article featured in this month’s issue? Easily the Tropical Top 50, which is a list of the best things to do around Tropical North Queensland, and all of them are free. I love northern Queensland, but even I learnt 40 or so new things from that list, and by my estimates there’s about two months’ worth of things to do, (with rest days, of course) which won’t cost a cent. Where is your favourite place to travel to with a caravan in Australia? Pretty much anywhere in South Australia. It’s a place that I never really felt that excited about visiting, but after the first time, I just keep going back. I particularly love the Limestone Coast (great beaches, excellent wineries, awesome camping) and the Eyre Peninsula (rugged and beautiful with great fishing and surfing), but I did the Yorke Peninsula last year and thought it was amazing. What can readers expect from future issues of Time to Roam? Mostly just honest stories from the world of caravanning and camping. We’re all caravanners too, so we try and tell real stories and offer real advice. If Time to Roam had a motto what would it be?